Some pay money to hear Soheil Nasseri (37) play the piano. But to his neighbor, classical music is just noise. 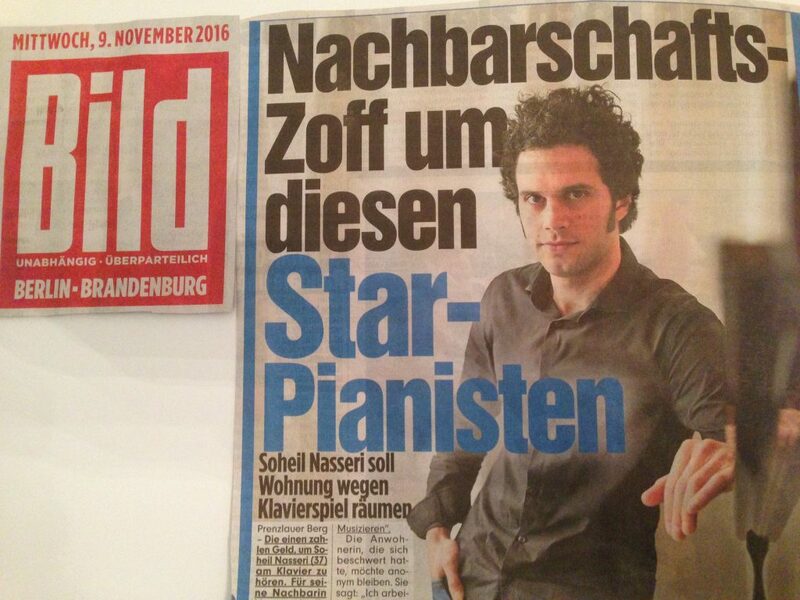 NEIGHBOR TROUBLE FOR PIANO STAR! The landlord GWD declined to comment to BILD on the matter. Mr. Nasseri is supposed to turn in his keys today or eviction looms. Photo caption: Pianist Soheil Nasseri (37) has played in Carnegie Hall and performs next week a solo recital in the Berlin Philharmonie (Gershwin, Schubert, Beethoven). He has trouble at home.